The name comes from the flowers of certain trees that cover the mountain and shine amber from afar. 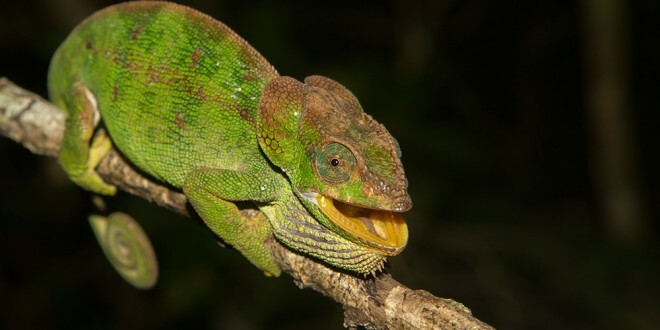 The Amber Mountain National Park is located in northwestern Madagascar in the Diana region. 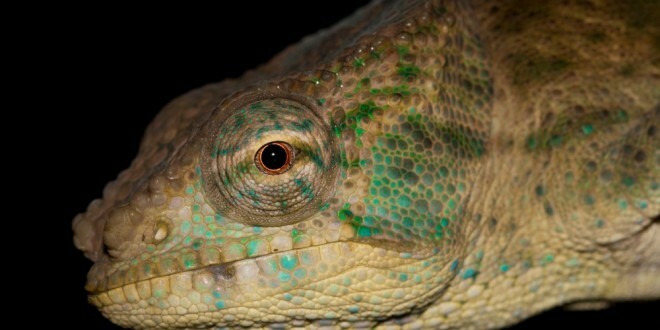 The nearest major city is Antsiranana (Diego Suarez) on the coast, about 30 km away. 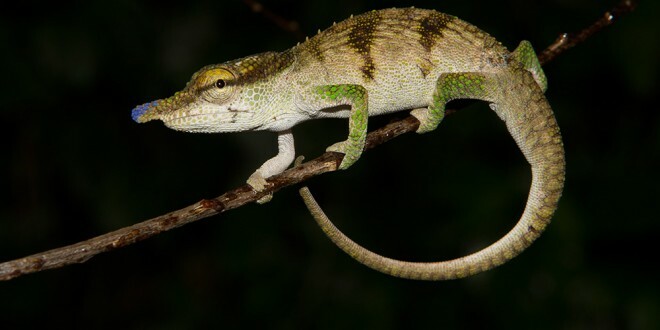 From the capital Antananarivo the park is located about 1000 km north – if you don’t want to travel the long distance by car, you can book a domestic flight to Antsiranana. From there, taxis run daily to Ambohitra (Joffreville), but it is more convenient and safer to arrive by 4×4. 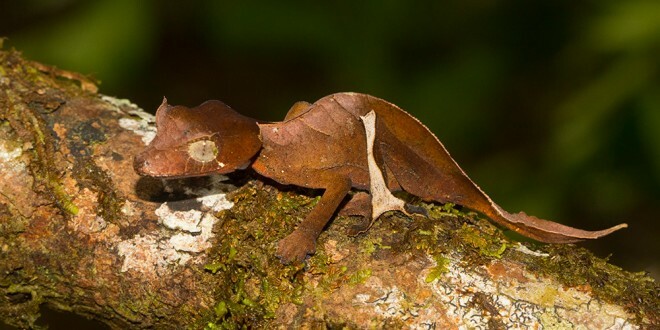 Alternatively, you can arrive from Ambilobe. Unfortunately, the road to Ambohitra is currently in a very, very bad condition. It takes several hours for the way from Diego and in many places only step speed is possible. The road from Ambohitra, where the park entrance is located, was repaired until the Campground in 2014 and has been very good to drive on since then. Amber Mountain National Park was founded in 1958 and covers an area of 182 km² over a mountain range of volcanic origin. This makes it one of Madagascar’s first and oldest official national parks. 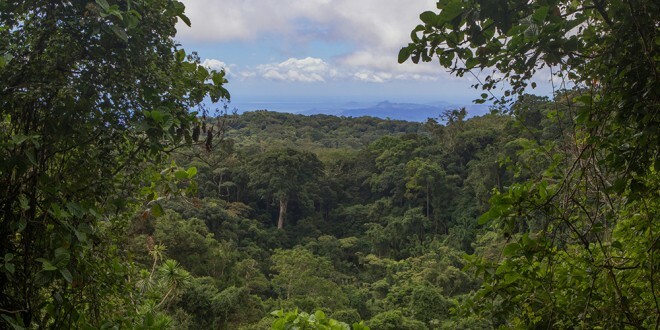 This rainforest with its six volcanic lakes and three waterfalls is a paradise for rare animals and plants that occur exclusively here and nowhere else. 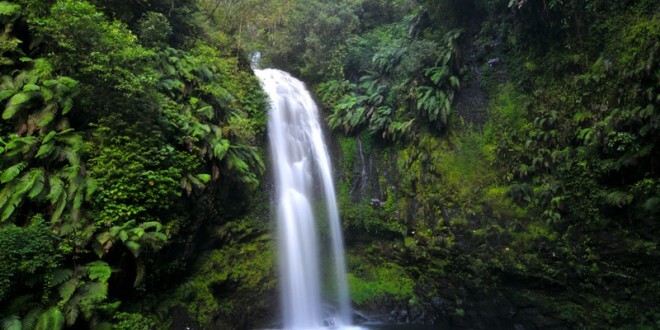 Concerning hiking trails, the tours to and around the waterfalls are particularly recommended, whereby the path to the large waterfall (grande cascade) on the way back contains quite a few stairs. A walk to Lac verte (green lake) is a little more contemplative and cosy. From small, easy walks to more demanding tours lasting several hours, Amber Mountain offers something for everyone and has long since become a very popular national park. 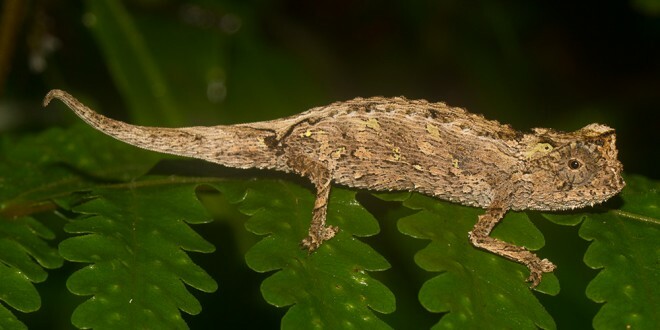 The climate is tropical, the park is one of the rainiest areas of Madagascar. The rainy season is from about November to March, but there is also regular precipitation outside the rainy season. The national park is also situated at altitudes between 850 and 1450 m, which can cause temperatures to drop temporarily to 10-15°C, especially at night. During the day it is usually pleasantly warm. If you visit the Amber Mountain, you should always bring a warm sleeping bag and clothes for different weather conditions. 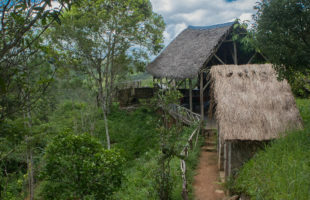 In Ambohitra (Joffreville) you will find the park entrance and the office at the upper end of the main street, here you will also find guides who know the area. 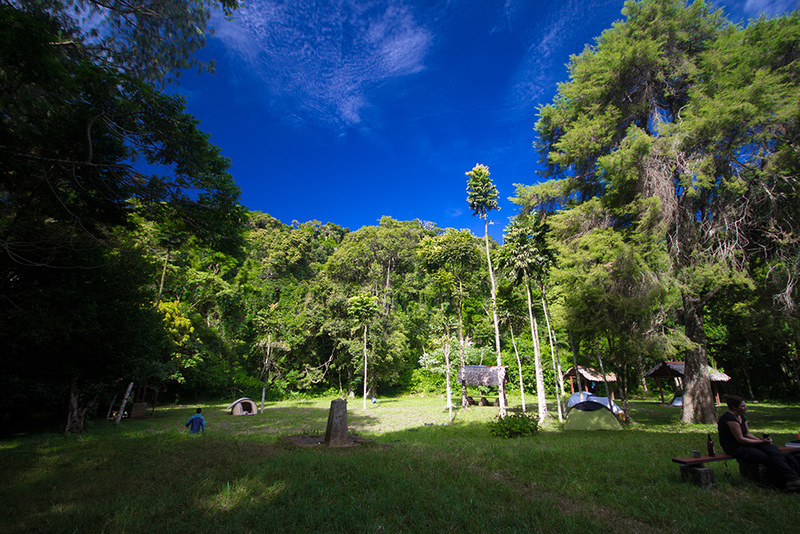 However, the park’s spacious campground is located a few kilometres further on in a beautiful clearing in the middle of the rainforest. The campground is inexpensive and offers several covered tent sites for smaller tents, cooking places (without equipment), rustic sanitary facilities (shower and toilet), running cold water directly from the mountain and of course an unforgettable nature experience. There is no electricity. 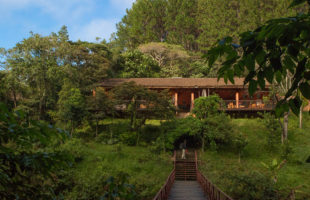 Two or three smaller accommodations are in Joffreville itself, more lodges and hotels in all price ranges are in Antsiranana (Diego Suarez) further away. On the main street of Joffreville there is a bigger shop and some smaller kiosks where you can buy drinks, cookies and necessary snacks. Coal and food should already be purchased in Diego Suarez. 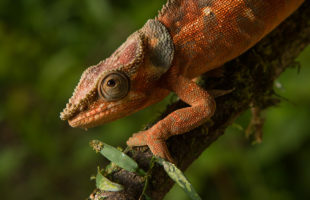 The Amber Mountain National Park is one of Madagascar’s most biodiverse rainforests – those who claim not to have found anything themselves here were probably not even there. 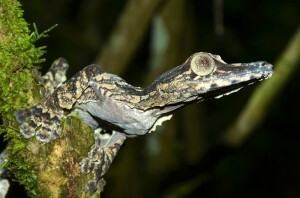 There are animals on almost every tree, and nowhere else in Madagascar is it so easy to spot and observe rare species. 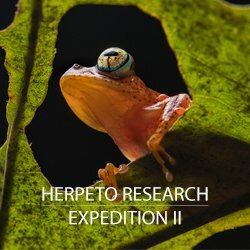 New, unique species are still discovered here almost every year. Rare orchids, huge nest ferns and screw palms (a total of over 1000 plant species) offer a true paradise for nature lovers. 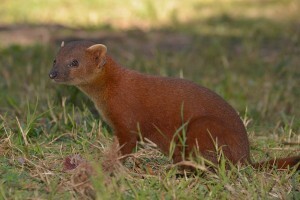 Currently, the park is home to around 75 bird species, 25 mammal species and almost 60 reptile and 25 amphibian species. Crowned, Sanford’s and northern fork-striped lemurs (Eulemur coronatus, Eulemur sanfordi and Phaner electromontis) are three of seven species of lemurs found in the park. 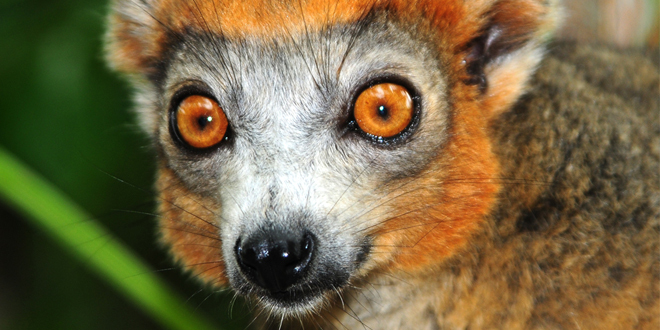 Above all the crowned lemurs are often seen visitors directly at the campground, and observe curiously the human new entrants. The smallest diurnal lemur, the Sambirano bamboo lemur (Hapalemur occidentalis), looks for its food in small bamboo groves on the mountain. 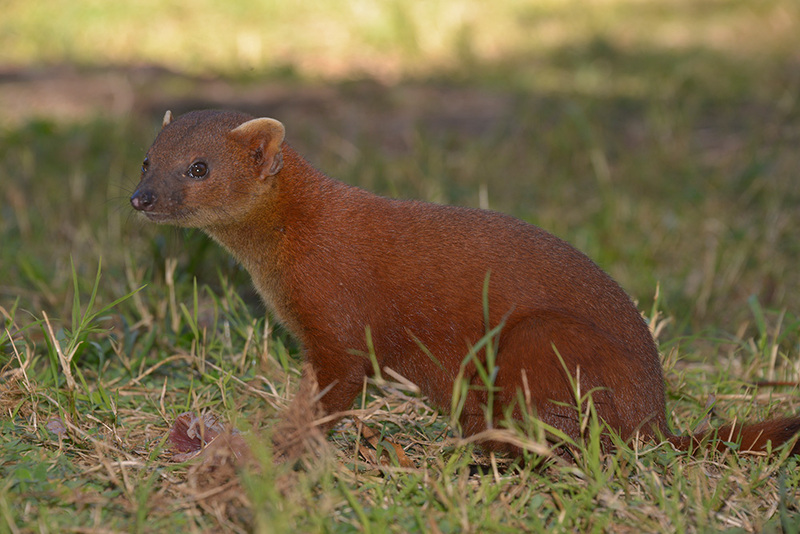 Ring-tail mongooses (Gallidia elegans) come almost daily to the campground and can be photographed there very easily. 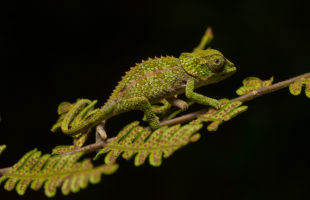 The Amber Mountain is famous for its enormous presence of chameleons, which are easy to find in the trees and bushes, especially in the evenings. 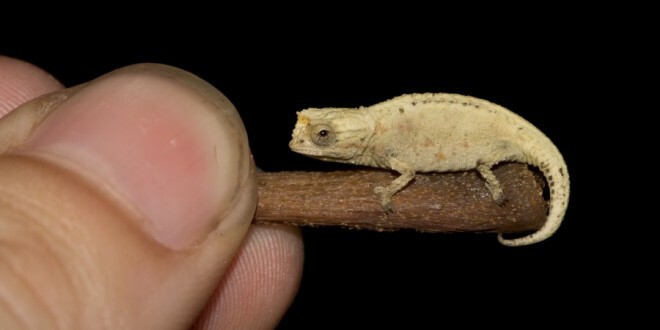 From tiny Brookesia tuberculata, which can sit on a thumbnail, to the gentle giants of the national park, Calumma ambreense, there is so much to photograph here: Furcifer petteri with lemon-yellow females and horned males, Calumma linotum with its blue nose, Brookesia antakarana with the rustic prongs on the light body. 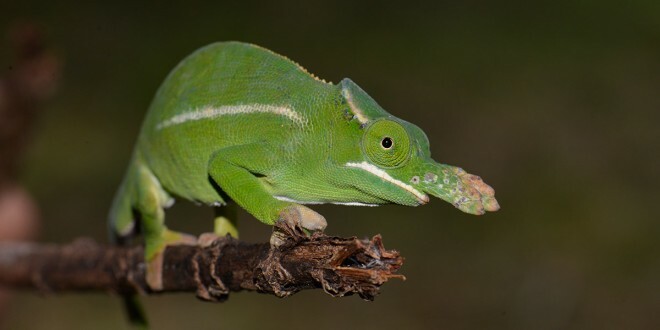 Even some species like Furcifer timoni, described only in the last few years, belong to the inhabitants of the national park and can be discovered with good eyes in tall trees. For those looking for chameleons, the Amber Mountain is a true paradise. 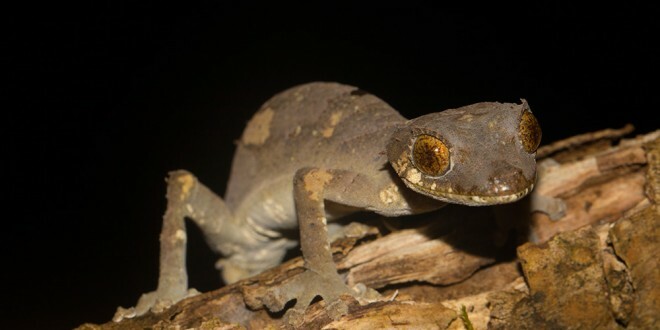 The leaf-tailed geckos, perfectly adapted to their environment, must first be found in the dense jungle, but there are practically several species of them in the park, including smaller ones such as Uroplatus finiavana or Uroplatus alluadi and the largest of their relatives, Uroplatus giganteus. During the day, hognose snakes (Leioheterodon madagascariensis) sun themselves on the paths. 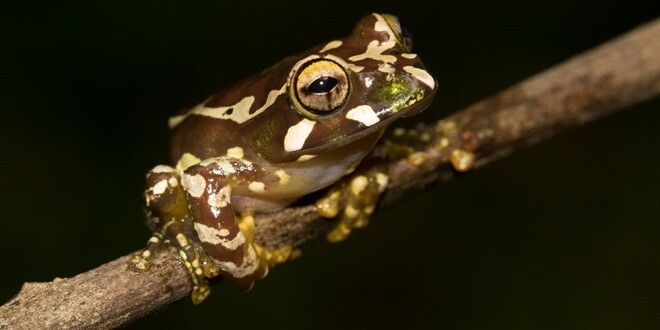 With a little skill and luck, amphibian lovers can find various frogs in Pandanus leaf axils and along streams, including Boophis entingae. If you prefer to observe feathered animals, you should look for the rare Madagascar Fish Eagle (Haliaeetus vociferoides). Also the red-breasted coua (Coua serriana) lives in the treetops of the jungle. 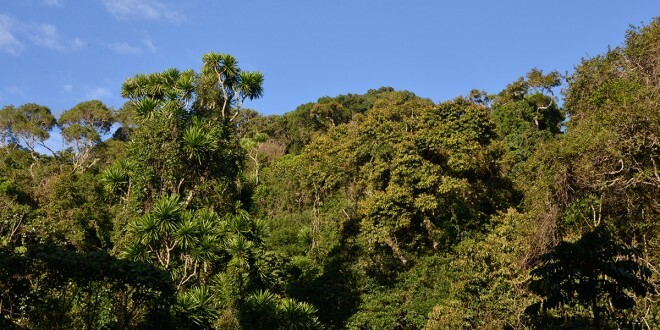 In short: if you are travelling in the north of Madagascar, you should definitely go to the Amber Mountain. 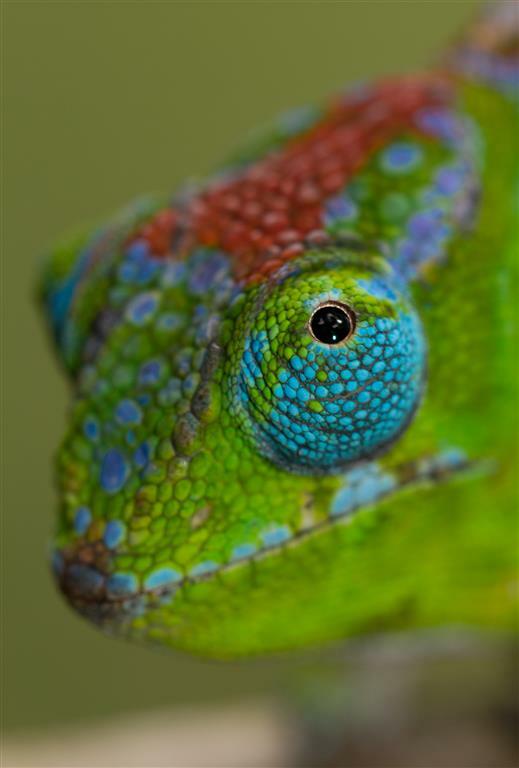 Unforgettable experiences and a grandiose rain forest, which is incomparable even on Madagascar, wait for you here.